WEBCommentary(tm) - Surveys Show Good Citizens Want, and Will Dutifully Obey, Universal Background-Check for Gun Ownership; Home-Invaders Remain Opposed. Surveys Show Good Citizens Want, and Will Dutifully Obey, Universal Background-Check for Gun Ownership; Home-Invaders Remain Opposed. Good Citizens will dutifully get into line to have their mental suitability checked by the Federal Government Department of Background-Checks before engaging in the lunacy of acquiring guns for self-protection rather than relying on what are now virtually instantaneous responses by law enforcement first-responders in response to distress calls to 911. Surveys show that only a tiny minority of Americans (often known as home-invaders) actually object to, and would criminally defy, the proposed Universal Background-Checks to be a condition prerequisite to acquiring a gun by purchase from anyone or by gift from a spouse, parent, relative or friend.
. As President Obama made clear in his "I Am The State Address" (formerly known as the now-archaic term "State of the Union Address"), surveys have shown that virtually "all good citizens want, and will dutifully obey, laws requiring a Universal Background-Check by anyone acquiring a gun by any means regardless of whether by purchase in a soon-to-be-taxed-out-of-existence gun shop or at soon-to-be-banned "gun shows" or by gift or purchase from a friend, spouse domestic partner, parent, sibling, or any other relative." Obama stressed, "I've always supported the right to bear arms by all citizens who have proven to the soon-to-be-established Federal Department of Mental Health that they are mentally suited to 'bear arms.'" He added, "This is especially important for young women who, everyone knows, are more vulnerable to seductive arguments by belligerent males that such vulnerable women 'need' a 'right' to 'arm' themselves so they can behave as do belligerent males. We want vulnerable females to be belligerent only when they're serving in combat. Good citizens will always follow the Love-Thy-Enemies Commandment of Jesus: 'Whenever a responsible citizen's home is invaded by a person who has violated the Universal Background-Check Law by acquiring and bearing a gun during such home invasion, the responsible citizen must first dial 911 and then prepare to turn the other cheek (or perhaps use scissors in self-defense if the home-invader gets really aggressive) until law-enforcement quick-responders can arrive.'" 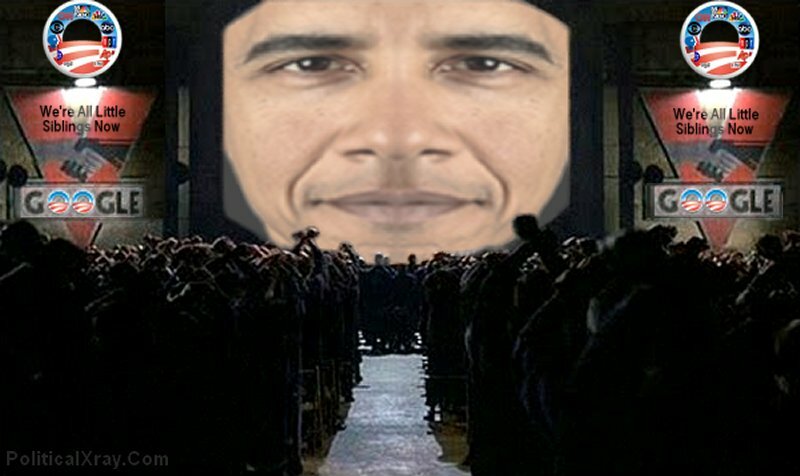 Finally, Obama again quoted Jesus in describing the most compelling reason for good citizens to comply with Universal Background-Check Laws: "You are your Big Brother's Keeper."